The Blackpool Tramway runs from Blackpool to Fleetwood on the Fylde Coast in Lancashire, England. The line dates back to 1885 and is one of the oldest electric tramways in the world. 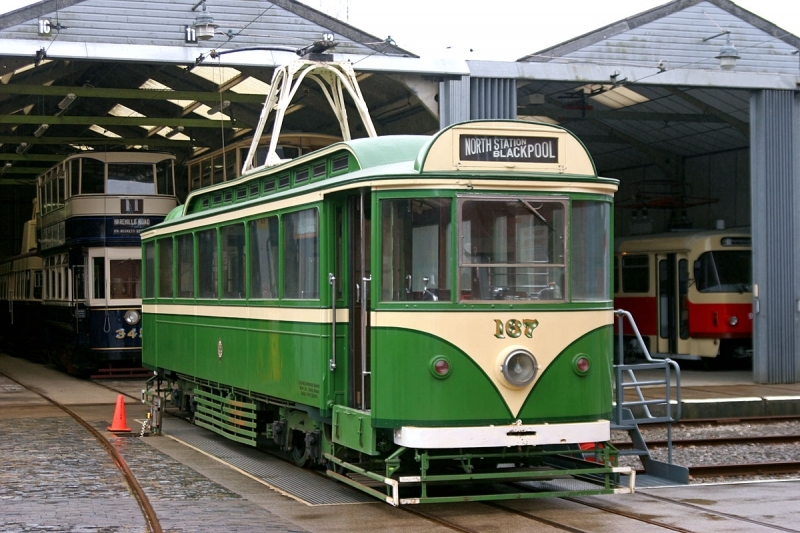 It is operated by Blackpool Transport (BTS) and runs for 11 miles (18 km). It carried 5.1 million passengers between March 2016 and March 2017. It is the last surviving first-generation tramway in the United Kingdom, though the majority of services on the line have since 2012 been operated by a fleet of modern Flexity 2 trams. A 'heritage service' using the traditional trams operates on Bank Holidays, select weekdays and weekends from January to December, as well as during the Blackpool Illuminations. Excluding museums, it is one of only a few tramways in the world to still use double-deck trams. Please give us your overall rating for Blackpool Heritage Trams.